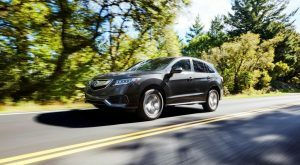 Both the Acura MDX and Acura RDX were honored as U.S. News & World Report’s 2018 Best Cars for the Money in the luxury three-row and luxury compact SUV categories respectively. The award is based on a composite score of quality, safety and value, including the vehicle’s five-year total cost of ownership as well as the average price of the vehicle. The MDX has been a customer favorite since launching nearly 20 years ago. In fact, Acura customers have made the MDX the best-selling three-row luxury SUV of all time. Also, an established, perennial top-seller, the RDX has topped 50,000 sales in each year since 2015, a record only the RDX can claim in its segment. The refreshed 2018 Acura MDX continues to offer comfort, advanced technology, sophistication and style. An all-new 2019 Acura RDX will launch in mid-2018. For more details about Acura’s win, visit Valencia Acura, Santa Clarita’s friendship dealership.